Senator Stanley Chang and Janae teaming up against a particularly heavy tree trunk. 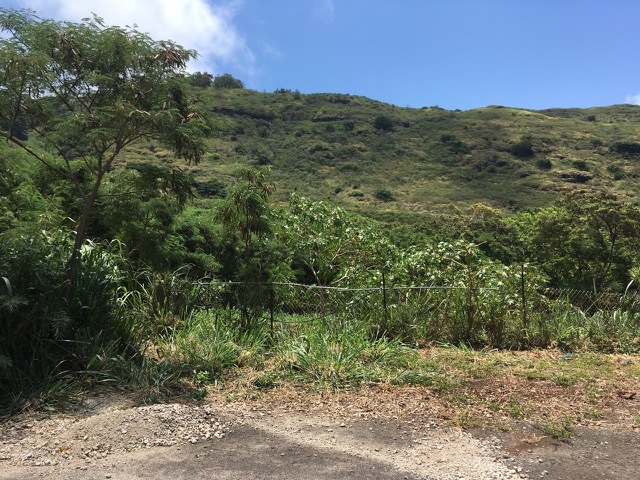 Kamilonui Valley-Mariner's Cove is well on their way towards becoming the first Firewise Community in eastern Oahu this year. Check out their latest community work efforts which HWMO has been supporting, including through a $2,000 U.S. Forest Service grant we have provided for an extra boost of vegetation clearance to reduce wildfire risk. Livable Hawaii Kai Hui, Senator Stanley Chang's Office, and Aloha Aina O Kamilo Nui have played critical roles in this effort along with the residents who have taken charge to protect their community from wildfire. We love to see this kind of community-based initiative and action! "On June 23rd, we had a volunteer day at our Target Area 1, the end of Kamilonui Place (nursery road). Some work was done earlier in the week by the women’s correctional facility volunteers. Thanks to Ama for bringing them out to help! On the 23rd we had Mariner’s Cove volunteers help clear what the women had cut down. Sergio from Tropical Tree Services, LLC, and our neighbor in Kamilonui Valley, has been chipping as we drag haole koa and other trees out of the firebreak zone. What is left to do in that area includes weed whacking, treating trees so they do not grow back, and bagging any random opala exposed." The community continued the work on July 7th by dragging all cut wood out for chipping. The June 23 group hard at work. "Target Area 2 is located on the closed section of Hawaii Kai Drive behind the Mariner’s Cove homes on Niumalu Loop. This was also an area where there were several fires last year. We now have a plan in place to get this cleared! The landowner has agreed to provide us with dumpsters. Once the timing of the dumpsters and chipping has been arranged we will send out a volunteer work day reminder to Mariner’s Cove residents. We are hoping all of these efforts will result in less fires in the valley this summer. 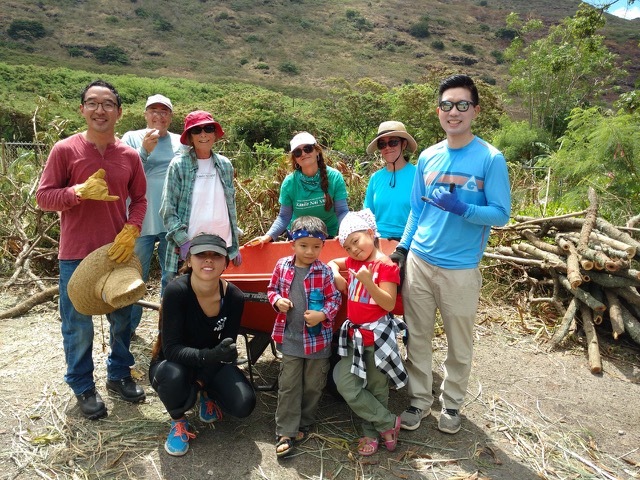 Mahalo to Ama and the WCCC Aina Angels"
Another community work crew hard at work!